Back in the mid to late '00s, some third-party developers were doing their best to put the under-powered Wii through its paces. The Conduit developer High Voltage Software was one of those studios, which doubled down on its console exclusivity with Left 4 Dead-esque horror shooter, The Grinder. It became one of the most anticipated titles in 2008 and 2009, with a full blown marketing campaign and plenty of coverage from the biggest outlets in games media, but it famously slipped past its 2010 release date, was rebuilt as a top-down shooter for Xbox 360, PS3 and PC and eventually disappeared into development hell, never to return. I honestly had a lot of fun with a number of first and third person shooters on the Wii. I think it was a great platform for them and there was a lot of potential for different control schemes and interesting play styles. Thinking back on it now the Wii really had some killer games. On this topic, I do think Conduit would look great on the Switch if it's rebooted (as I don't really think a sequel would do it justice). It's one of those very easily forgotten and underlooked Wii titles that to me really stood out. It's a shame this will probably never happen as the studio didn't meet a good fate releasing Conduit 2. In addition, I do think Endless Ocean 3 should come out for the Switch as well. The Wii had some really well-hidden gems and it's been a long time since we've seen these games..it may just be the time for them to be revived. Pfff would still buy & nolife the hell out of it. 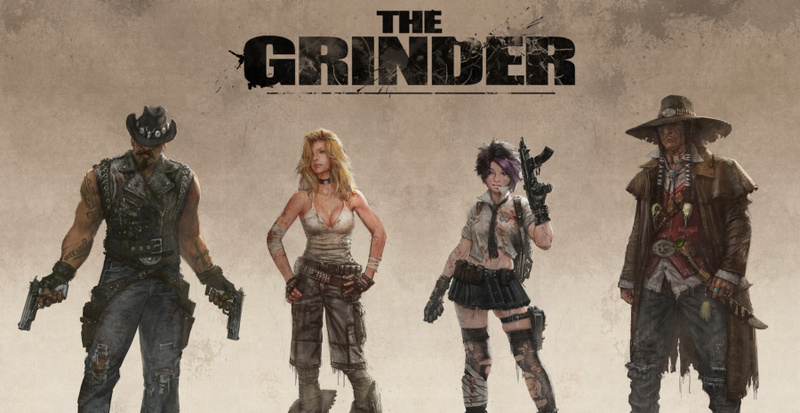 I remember being quite excited for The Grinder at the time it was announced for Wii. It's looks very fluid, and they promised all sorts of cool online features. I'd play the heck out of this. Awesome character designs as well. Oh yeah, I remember this one. "Did you think Wii was ever really the right platform for first-person shooters?" Given its fan base, no. Wow! a blast from the past! I remember IGN's Matt Cassamassina hyping up High Voltage's game engine saying that we would get near Xbox 360/PS3 graphics on Wii. Bought into the hype so much that i got the special edition of The Conduit only to be left rather unimpressed with the game. But i still had hopes for High Voltage with "The Grinder" and their WiiWare game "Animales De La Muertes" which unfortunately never surfaced. I remember. I was kind of excited because left 4 dead was my favorite game at the time and that’s what they were comparing it to. Slap some HD resolution on it and release it as a 20-30 dollar e shop title. Good time to do some FPS games in the system while fans of the genre wait for Wolfenstein. That name is a blast to the past. I remember being somewhat interested in it and it missing its predicted release date. I just presumed it had to be scrapped after The Conduit 2 sold miserably. "Did you think Wii was ever really the right platform for first-person shooters?" <-- FPSes use to play like a dream on the Wii. It feels backwards going back to a controller to play them now. However, most people that liked FPSes had an Xbox 360 or PS3. Most of the Wii's audience had no interest in that genre. Shame, really. Video game development is the real grinder. Ah... a real shame that this never got released. I really loved the art style and the story back then, and I still do. If there's anything left of it, they should definitely get back to it, or do a HD reboot. If only they would revive it for Switch, but it sounds like mere mentioning of the game to any of the developers leaves a sour taste for them after their whole bogus experience with it. I really enjoyed and from time to time enjoy the conduit 1,2. Good games, but from what I understand they did not sell great and HV invested a lot of time and money... I still bring out then both every once in a while. Absolutely awesome i will be watching this later, ive always wondered what happened to this game as i believe it was by the same team that made the conduit, but i may be mistaken. last i remember it become a top down shooter style game?? i remember this game and the game SADNESS been shown for the wii. both of which were never released. Forgot ALL about that game. I was so stoked when this game was announced. I loved the first Conduit. The second not so much. I always wondered what happened. High Voltage seemed to be a studio with alot of potential back then. 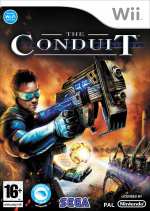 The Conduit and Conduit 2 were incredible games. Remember High Voltage, the saviour of the Wii that only made p....p in the end? Yeaaaahhhh, I remember!